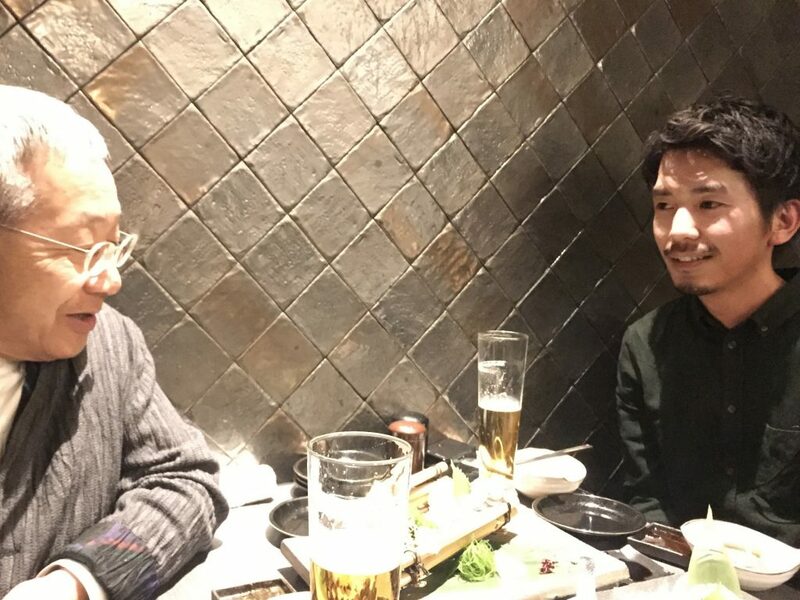 Takahashi： Today`s theme is “Favorable Lighting for having Drinks” so instead of coffee I thought we could relax and talk with an alcoholic beverage today. Mende： It`s not a coffee break anymore, but I could get used to this. Takahashi： I like to go out for drinks, but I always get preoccupied by the lighting. When a group of friends gets together for drinks and a good time, of course a light filled area is better suited, but at home I like to turn the lights down low. This feels really luxurious to me. The relaxation effect is wonderful while having a drink in a dimly lit atmosphere. Mende：So you drink by yourself. Drinking by yourself in a dark place, isn`t that a little depressing? Takahashi：I`m a positive thinker, so I don`t get depressed. It helps me think. If I have friends over for drinks they don`t like the dark atmosphere, so this is one way I relax by myself. What type of lighting do you feel is the most relaxing and luxurious for having a drink? Mende：What do you drink at home? Beer? Mende：Aha, whiskey! Yes, I don`t like to drink beer in a dark place, either. Whether it`s a meal or drinks, I feel the most luxurious setting is outdoors under the sun. Sipping sparkling wine with a little breeze on your face, that is the best! Eating and drinking in the sunshine. Or wine at twilight just as the first stars are coming out, it can`t get much better!! Whiskey is more an after diner drink, so the situation is a little different. Maybe the lighting depends on what you are drinking. Takahashi：Maybe. I think beer or sparkling wine might taste better in a bright atmosphere and drinks with a higher percent of alcohol like whiskey or brandy, require a slower, darker atmosphere. I think the chemistry between alcohol and lighting is not very well known. Mende：A lot of times alcohol is drank while eating and the drink usually goes with what is served. In a book I wrote a while back “ Are you Enjoying Lighting?” I wrote about the difference in suitable lighting for food like Japanese, Italian, and Chinese cuisine. Japanese food is best served under diffused, soft lighting. For western cuisine strong, directional light, like a halogen best displays the often used glass and silver tableware and oily dishes. I realized that local food culture and lighting are intertwined. Food, alcohol, and lighting have an incidental, but deep relationship with one another. Takahashi：I have the image of Europeans in dimly lit rooms sipping drinks and discussing topics like, philosophy, art or the mystery of life. Slowly sipping drinks like whiskey or brandy might be an aid to these conversations and seem more familiar to this atmosphere and culture. Mende：Maybe, but Europeans also have fun while they drink! Do you always mull over heavy topics while you drink? Takahashi：While I drink I sometimes think about the meaning of life, especially with my close friends. We get to discussing deep topics when the alcohol goes to our heads. 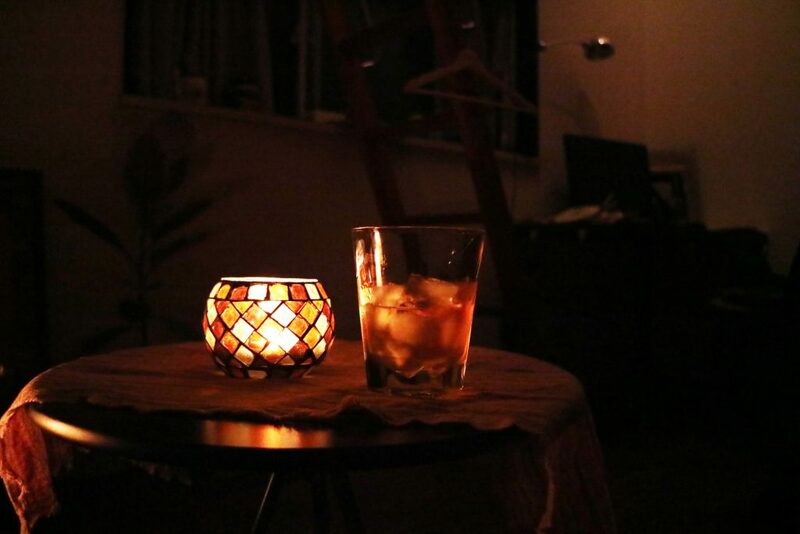 However, a while back a friend was over for drinks and I had on just the indirect lighting and some candles burning. He got a little anxious in the “moody” atmosphere. My appreciation for dark rooms and alcohol was misunderstood. Whether it is by myself or with friends, I think I like dark rooms and alcohol and pondering things. It’s just a feeling that I can`t really explain when asked why I like the darkness. Hopefully someday I can explain it well enough to share it with someone. Mende：For deep intellectual thinking maybe a dark environment is important. From way back, I also like the nighttime to think things over. Darkness breeds deeper thinking. It is hard to get the same result in a bright situation. It might be a good opportunity to take another good look at oneself while having drinks in such an atmosphere. 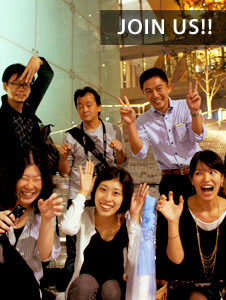 However, if I am going for an easy, after-hours drink with a group, brighter is better. No need for shadows, just unified lighting. For deeper thinking darkness and whiskey. For beer and mixed drinks a fun and bright atmosphere. For wine or Japanese sake the conversation is a little broader…. 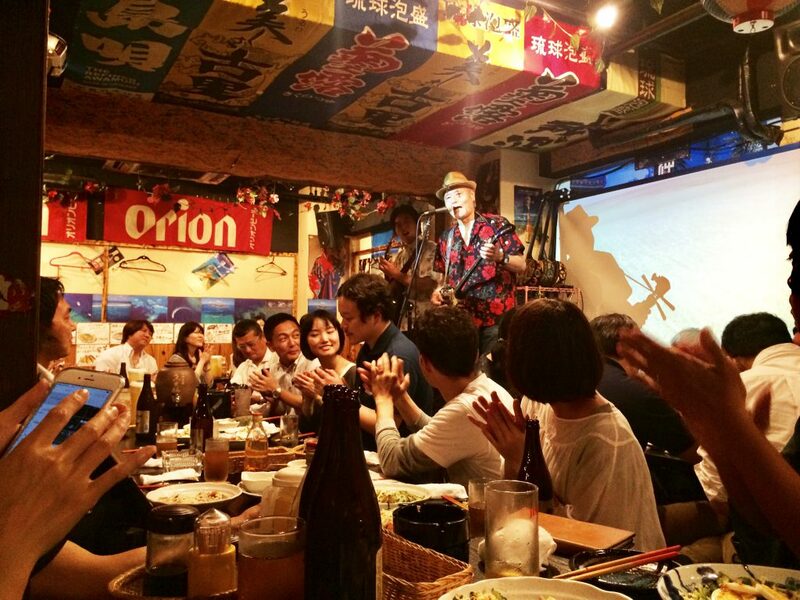 Takahashi：The relationship between alcohol, lighting and conversation, this was very interesting. Takahashi： Maybe. I hope we can have drinks again sometime.